Customer service is one area where a lot of data is collected regularly. Understanding all this and making business decisions is quite complex task. 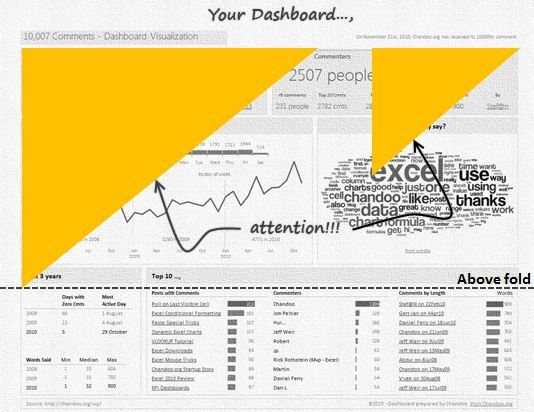 This is where dashboards shine. 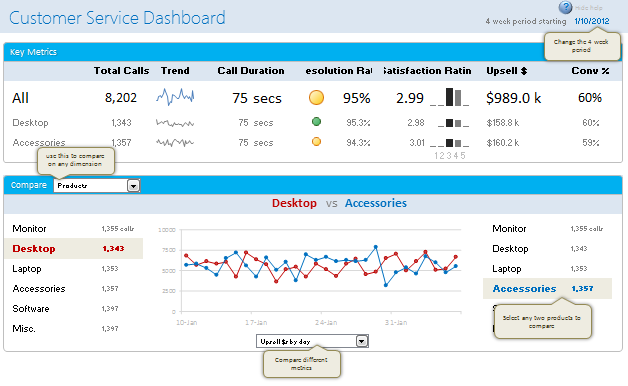 Read on to learn how to design customer service dashboards. Of course, we can use the beautiful Sparklines for Excel addin to do this and several other charts. But if you just have a series of Wins and Losses, like below, you can use a column chart to create win loss charts too. Today, we will learn how to create a win loss chart from a set of win, loss data in Excel. Today, we will learn, how to create Win Loss Charts in Excel. We will learn how to create Win Loss charts using Conditional Formatting and using In-cell Charts. Today, we will take a detour to world-wide web and learn how we can improve our dashboards, reports, presentations or workbooks by using one of the ideas, called as Golden Triangle. Analyzing competition is one of the key aspects of running a business. 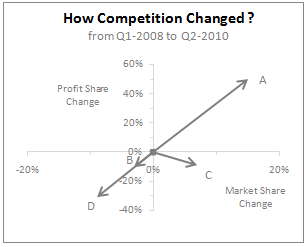 In this article, learn how to use Excel’s scatter plots to understand competition, like shown aside. The inspiration for this comes from a recent article on Asymco analyzing mobile handset market (Apple iPhone, Nokia etc.) and how it has changed since 2007. Read the rest of the post to learn how to create this type of chart in excel. Also, you can download the chart template. Go ahead. 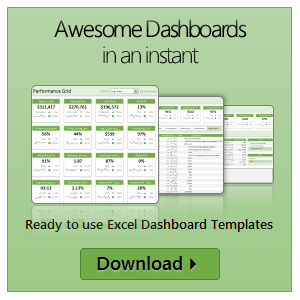 Some of you know that I run an online excel training program called Excel School. If you want to join, click here. Only 8 days left. 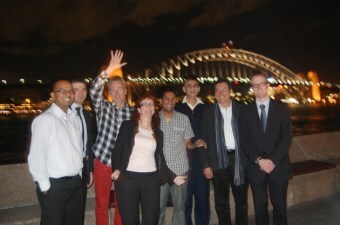 I run excel school mainly to meet new students, understand their problems and learn new ways to solve them. But, Excel School also presents me with an interesting analytics challenges. In this post, I will share 2 pivot table based analytic techniques I used just yesterday to answer few questions I had about Excel School sign-ups. A panel chart (often called as trellis display or small-multiples) shows data for multiple variables in an easy to digest format. It lets users compare in any way and draw conclusions with ease. Today, I want to discuss how the principles of panel chart can be applied to visualize a complex set of survey results. For this we will use the recent survey conducted by Gartner on how various customers use BI (Business Intelligence) tools. We all know that incell charts are a very cool way to explore and visualize data. Personally I like them so much that I have written several tutorials on it here. 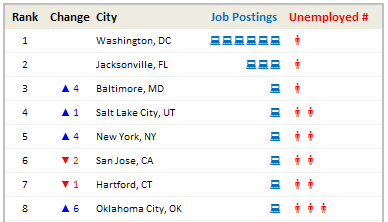 Today we will see how a Job dashboard on “50 best cities for finding a job” originally prepared by Indeed job search engine can be recreated in Excel using In-cell charts. The final outcome is something like this.